Cryptocurrency has taken another major step into mainstream as leading American exchange, Coinbase launches its own payment card. The Coinbase Visa card will permit in-store and online payments using cryptocurrency for its UK-based customers. The card is linked to the wallet of customers, from which the exchange converts cryptocurrency balances into fiat during payments, just as regular cards are linked to bank accounts. The card will work with Bitcoin, Ethereum and Litecoin balances in addition to several other cryptocurrencies. A card app which is launched alongside the Coinbase Visa card will permit users to select which crypto wallet to use in funding the Visa card. All cryptocurrencies tradable on the Coinbase platform are supported by the app. Hence, users can seamlessly pay regular bills for services, or make purchases with ease. This is a major step towards the mainstream implementation of cryptocurrencies. A system that does not bore users with the technological intricacies, rather adapts them to already existing procedures for which they are used to. This is similar to the user experience on Vertex.Market which permits users to purchase cryptocurrencies via bank transfers in the secondary market via an OTC platform. In addition to selecting the preferred cryptocurrency of transaction, the Coinbase iOS and Android card app provides users with features such as receipts, transaction summaries, spending categories and more. 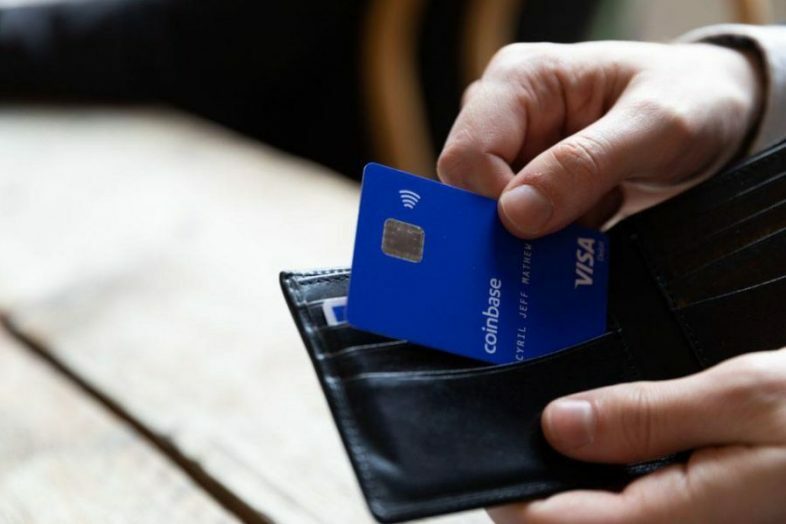 According to the announcement on Coinbase blog, the card is issued by Paysafe Financial Services Limited, an electronic money institution authorized by the Financial Conduct Authority under the Electronic Money Regulations 2011(FRN: 900015) for the issuing of electronic money and payment instruments.